Yesterday we heard that the iPad 5 is expected to go into production some time in July or August, the tablet is rumored to come with a new design which is apparently similar to that of the iPad Mini. 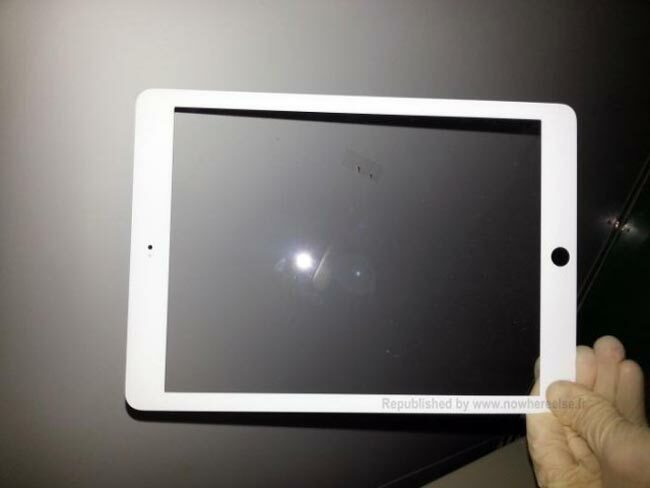 The photo below is of a front panel which is reported to be for the new iPad 5, and as you can see from the photo the bezel on this front screen is slimmer than the bezel on the existing iPad 4. We have no idea if this is actually a front panel for the new iPad 5, as soon as we get some more information on the iPad 5 and also some details on the hardware specifications we will let you guys know.